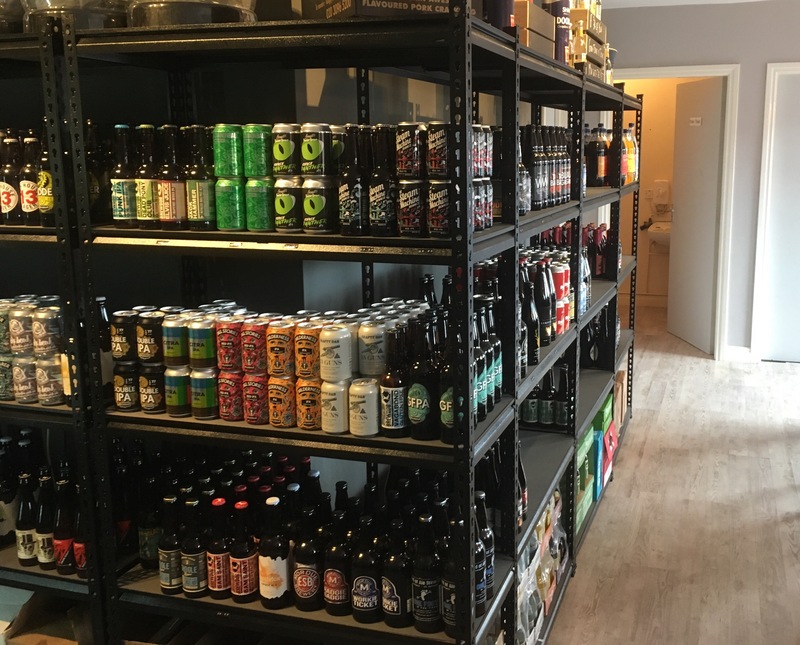 Beer blogger, PAUL WHITE doffs his cap to the entrepreneurial spirit of the region’s micro-brewers as he visits a new micro-pub and beer shop in Bishop Auckland. One of the interesting by-products of the craft beer boom of recent years has been the entrepreneurial spirit it has unleashed in people. Perhaps it is the relatability of the product, alongside a clamour from punters, that has made people feel more comfortable taking a leap and setting up a micro-brewery or bottle shop. Whatever the cause, it’s great to see. What’s really pleasing is how this has taken off in my home region, North East England. This week, I called in at the opening day of a brand new beer shop/micro-pub, Caps Off, in Bishop Auckland, County Durham. Making use of a unit attached to the town’s train station, three young entrepreneurs have gone from selling beer on market stalls to opening their own place. And it’s not just bottles. Caps Off has keg and cask beer, too, as well as gins and ciders. All of this and they are focusing strongly on local producers. Local entrepreneurs supporting others in their local market is something to be applauded. Alongside a selection from Brewdog – a smart move, as it will give newbies a brand they recognise, from which they can move on to trying the local ales – are beers from Rocket Town, Sonnet 43, Allendale Brewery, Wylam Brewery and more, mostly from across the North East. This is something that’s pretty much brand new to Bishop Auckland, which sadly lost its local Black Paw Brewery earlier this year, so it’s a brave move in a town where pub footfall has dropped considerably in the last couple of decades. By selling bottles for consumption on site, or to take away, and mixing it with the opportunity to have a pint from the keg or cask as well, it stands a chance, because it caters to both the pub and home drinker markets. Caps Off is open from Wednesdays to Sundays, 11am to 10pm. Sundered Land, New Castle, Goat’s Head : What’s in a North East Place Name? Gateshead : Still in Newcastle’s shadow? Tyneside Pride : Who is a Geordie? Rivers, becks, burns and linns : What’s in a (North East) Place-Name? It’s a Chef’s Wife : dAtbAr hits the mark! What does the future hold for Ouseburn Farm? Local ales? A walk in the park!